Looking for a USED Q35Y? Q35Y Hydraulic Ironworker adopt Schneider Electric System, Japan VALQUA seal, Japan Omron proximity switch, and Italy ATOS hydraulic system, in order to provide you with high performance. 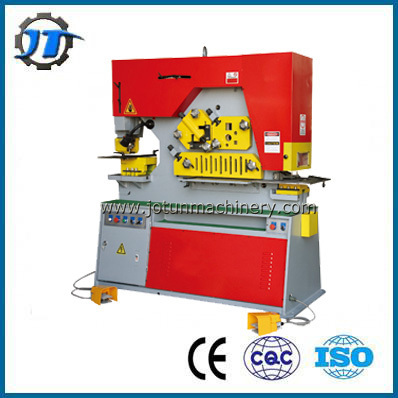 Various Q35Y Hydraulic Ironworker model options to meet your different requirement. Q35Y Hydraulic Ironworker use hydraulic transmission. Light weight, low noise, reliable performance. The operation of the hydraulic ironworker is controlled by foot switch.